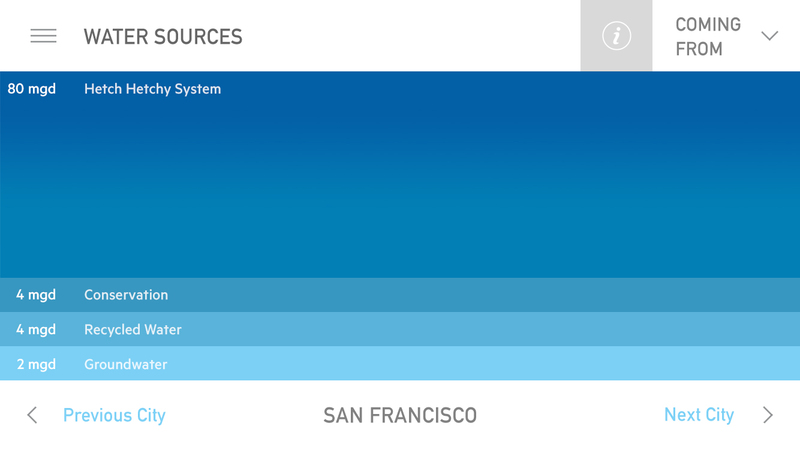 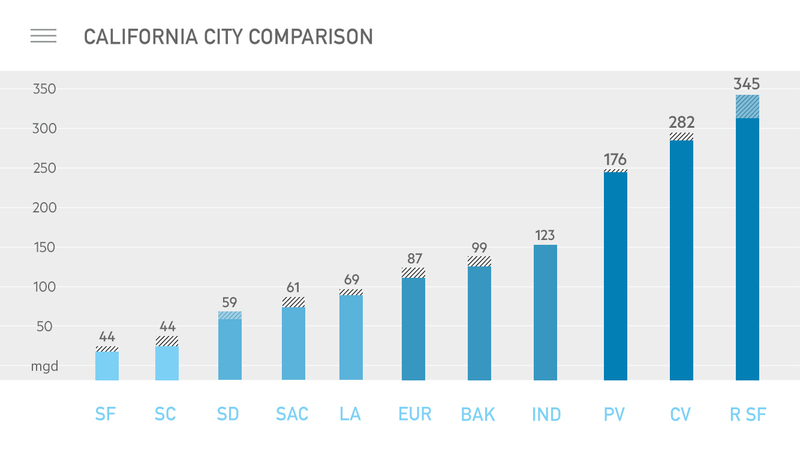 As California faces increasingly taxing droughts and stricter water regulations, Waterproof monitors personal water use in relation to city and state recommendations as well as average water use by neighbors at a block, city, and county level. 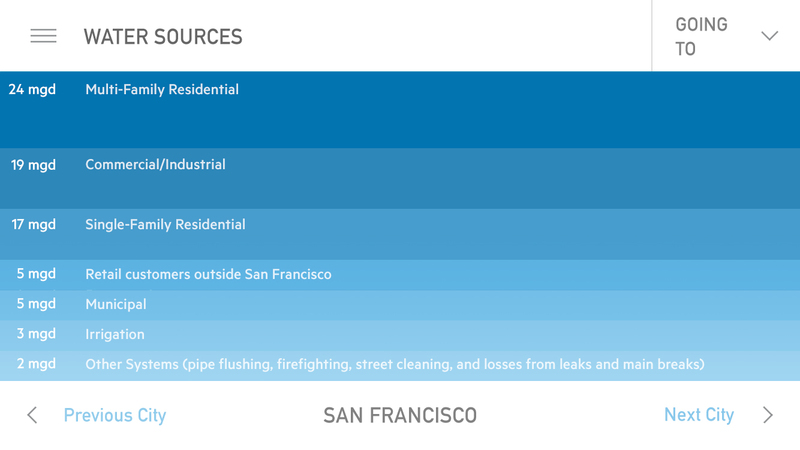 For a city like San Francisco - where digital metering is standard - this project is a relatively simple arrangement of pre-existing data. 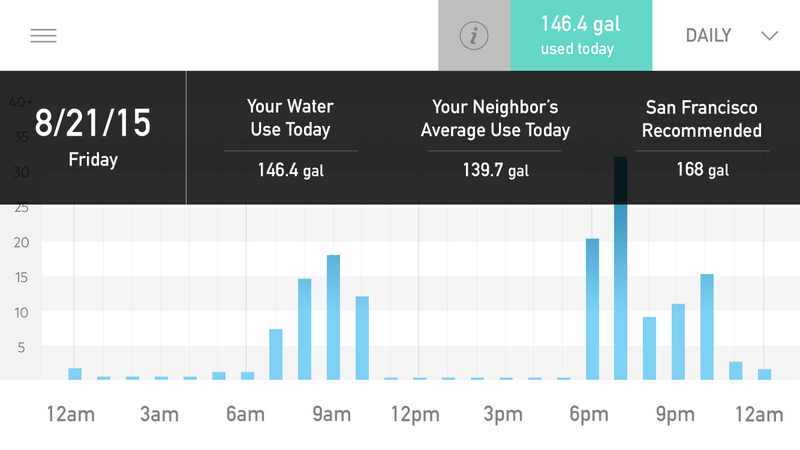 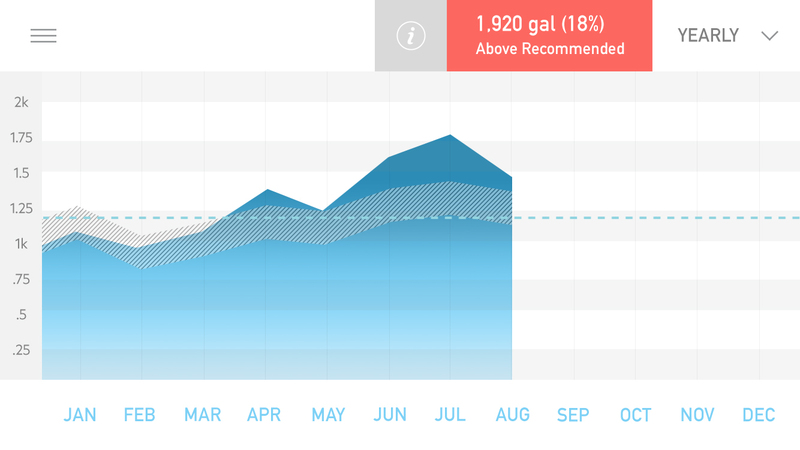 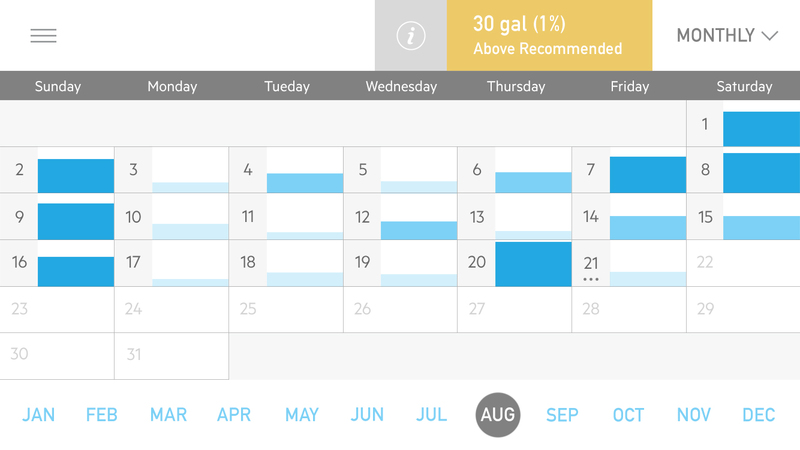 Push notifications when water use nears recommended levels helps users relate their consumption to the larger conservation effort.